Just a quick note to say thank you so much for resolving the recurring brake problem on my Specialised Sirrus Bike which I successfully rode back to Whitby today - and was able to slow down on hills! Yippee! 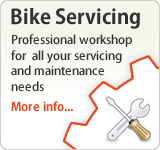 Although it’s a real inconvenience having to come to Guisborough to have any work done on the bike, the quality of service you provide makes the inconvenience a very small price to pay. Your genuine surprise and disappointment that I was suffering brake problems again, together with your determination to identify the cause and to resolve the problem were indeed very impressive. I could not ask for a better standard of customer service from you and I want you to know how grateful I am. Very best wishes from a totally satisfied customer. I just wanted to let you know how pleased I am with my new bike. I've had around half a dozen rides and it's fantastic, fits like a glove and so smooth to ride. I'm so pleased that you encouraged me to wait as I could not have had a better choice of machine or better service. The parcel arrived on friday. Everything is as it is supposed to be, the spacer fits, and I had the first ride with the bike today. I have to say I am really happy with the service I received from bike scene and I will recommend you when I have a chance. Please pass on my thanks to everyone who was working in the Shop on Saturday 19th August. I had crashed 100 miles into a 600 mile ride and limped into the store needing a new rear derailleur/Chain/wheel true/mech hanger and tlc. Your service was fantastic and the repair carried out immediately, followed by water bottles being filled/ advice on directions north. My bike ran smoothly all the way to Thurso at the top of Scotland where we arrive at 9.30am on Monday morning. Just wanted to thank you personally for sorting me out with the new Enduro frame last week. Your outstanding, friendly service will encourage me to drop in next time I'm in the area for sure. 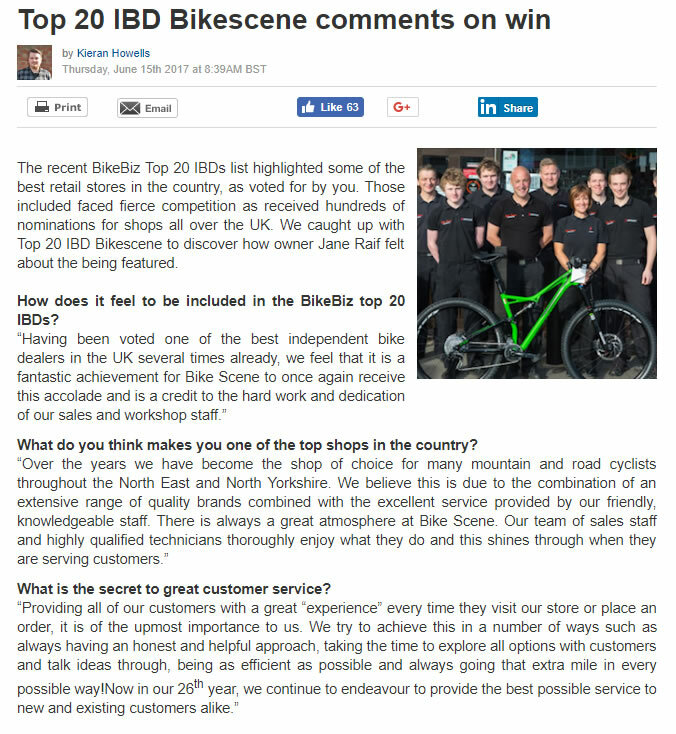 There's a lot to be said for a decent (not-so-local) bike shop that makes the effort to get to know its customers. Glad I chose to purchase through Bike Scene; the drive across was well worth it. Cheers mate. I have just bought two specialized crosstrail hybrid cycles. One for myself and one for my wife. Can I just say that the level of service we received was outstanding. From our first visit when we spoke with Anthony who explained all the available options and sizings, to Andrew who took our order and arranged the spec and collection date. Then Alan who handed them over and who went that little bit extra to help with the rack on the car. I can honestly say that the three A,s on the staff gave a triple A service. Thank you. Hi to all at bike scene. I would just like to say a big thanks to all the team for the advice,recomendations and outstanding customer service i have received since first visiting the store at the beginning of the year. 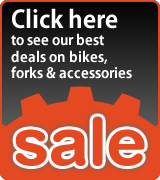 I am new to the mtb scene and am often baffled by the sheer amount of products available and the ongoing complexities of looking after and maintenance of the bike. Luckily i have been able to rely on you guys to sort all that for me. From the sales team to the mechanics i have experienced nothing but polite,friendly service and i thank you all for that. A special thumbs up to Andy who recently went out of his way to solve a problem i was having regarding the hydraulic brakes. Cheers mate, all sorted now thanks to your help and advice. So thanks again to everyone and you can count on my ongoing custom as much as i can count on you guys. A thank you to Andrew on my initial enquiry which resulted in the purchase of 2 Specialized Camber Evo's, a ladies and gents. Although used they arrived in as new condition packed to ensure perfect on arrival and fully serviced. Andrew monitored the sale and went through the specification and modifications fitted to my bike. These far exceeded my expectation and my son, a rider of a Stumpjumper could not believe how competitive the pricing was. I had dealings with other team members including Antony and everyone was helpful and professional in all dealings with this order. Thank you for making this an easy process - and for helping me along the way. I wish you the very best. It's nice that we can do good business while both of our countries are having serious political/economic issues. 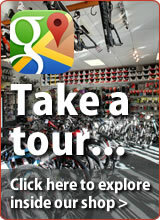 I came into Bike Scene at Guisborough on Thursday to enquire about a new bike. I spoke to your colleague Alan who was most helpful and gave me some valuable advice, pointing me towards a bike that would serve my needs (Specialised Sirrus Comp Carbon Disc 2016). Although you didn't have one in store to show me, Alan arranged for one to be delivered for me to see before deciding to buy. I returned to Guisborough today and spoke once again to Alan and also to Neil, both of whom were excellent in providing me with the guidance I needed to make what for me was a sizeable investment in a bike (twice the price of my previous steed). Without their expertise and their friendly, helpful manner I suspect I would have looked elsewhere for a cheaper alternative (the aluminium framed equivalent model available elsewhere for £750) but they inspired me with confidence because of their knowledge of the products you sell and their enthusiasm so I decided to 'take the plunge' and buy the dearer model from you. Please pass on my thanks to them for an excellent level of customer service. I'm now looking forward to collecting the bike and giving it a trial run. I collected the frame last weekend, it looks nice! 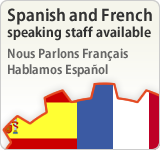 I has been a pleasure to deal with You, very good information and communication + fast shipping. I received the frame first thing this morning, just checked during my lunch break and everything appears to be present and undamaged. Thanks for sorting delivery so quickly, it's been a pleasure ordering from you and I have been very impressed with the level of customer service! Alan and the team at Bike Scene provided an excellent level of service for my mail-order purchase. They assisted me prior to the sale with choosing the right frame to fit my size and riding requirements and responded to any queries I had promptly and professionally via email and telephone and with photos. Once the order was placed, delivery was swift and David did an excellent job to ensure that the bike was packaged safely and securely in order to provide maximum protection. It's easy to be apprehensive about buying bikes online, but the quality of the service made the whole experience feel like I was visiting my local bike shop; testimony to their experienced and passionate staff! I will definitely be recommending Bike Scene to other riders in my club. Thanks again for everything. I’m attaching a photo of the finished product. Amazing to ride and I’m very glad I found you guys and was able to get the Quickstep color scheme. A beautiful looking frame. I will be riding and admiring it for many years to come. Best Wishes! I will look forward to stopping by the shop when we plan our next tour of the UK! detail. Needless to say, I've always been delighted with the products I receive. I can't tell you how much i'm looking forward to receiving it - you have been a real champ throughout the process :) I would gladly recommend my danish network to do business with you. As last time I ordered from Bike Scene, brilliant service! Just wanted to say how good an experience I had at the shop today. Please pass my thanks to Antony for looking after me on Saturday. 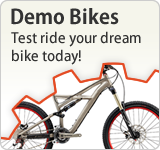 I am really impressed with Bike Scene - you guys have been the best I have come across and your attitude to demo bikes is fantastic value. Many thanks for you're excellent and polite / friendly service when i brought my Kalkhoff e bike in for some warranty work. The service i received was excellent, from beginning to end. .....Andy , who dealt with me was first class...as was everyone else. You are all a credit to the company you work for. Well done , and thankyou so much. Thanks also for you service and advice regarding size. At first I thought not being able to order directly online was a bit annoying. But after I spoke to you and ordered over the phone, I actually felt that it was much better as I got speak with someone who seemed genuinely interested in bikes and bike riding. I Will definitely order from you again. Thank you very much for all your help and advice with new bike purchase. Very pleased with bike and great customer service from all staff as always. I'm massively pleased with the bike! Such a good decision to come and collect it for the race. It performed flawlessly and I'm sure help ease some if the pain. Came in 16th in men's open 24hr solo with 20 laps! Very happy with that and absolutely love the bike! Thanks for all your help. The whole shop staff, atmosphere, help, etc was superb. I contacted you and then met you at your shop end March/early April - you sold me new casette for my Fuji Ace roadbike, installed it and also adjusted my wheel. Thank you for the excellent advice you gave me and the work that was done. I was looking for slightly easier set-up to go uphills and what you did for me works perfectly. I am sorry I did not thank you sooner. Thank you very much for help with sorting out a puncture on Matthew's bike today. Customer service from yourselves was brilliant as always. Instructions on how to get wheel back on worked so he will be able to ride again. Just wanted to say thanks for an excellent deal on the Command Post and prompt delivery too. Thanks Antony for great customer service. Just to let you know the bike arrived safely and it looks fabulous! It's been a real pleasure working with you over the last few weeks to spec and build the bike. You and the team have been incredibly helpful and made the process very easy. At each stage you took the time to understand my requirements and provided sage advice, often steering me in the right direction! You provided an excellent and 'real value for money' service. I would have no hesitation in recommending you to my friends. I just love this shop a massive thank you to everyone that has dealt with me over the last 7 months especially Antony. 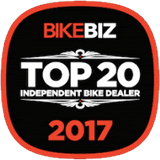 Your service is top notch and you totally know your stuff when it comes to bikes. I would not hesitate to recommend Bike Scene to anyone. I am over the moon with my bikes I have bought and also to the great setup service you have. Bike Scene is my one stop place for everything Mountain Bike. I will continue to use your shop as long as am riding. Your staff are extremely helpful and knowledgeable pity you didn't have a shop in Newcastle but worth the journey down. I just wanted to say thanks for the great service provided by yourself and for the really quick delivery for my 2014 Rockhopper. I am really happy with the bike and glad that a friend recommended yourself to me. If I ever need anything else I will be sure to give you a shout! I've now tested the bike on my "home trail" and I'm more than satisfied! Really glad that I did upgrade the wheels and gears, X01 system works perfectly. I also want to thank you for the nice and competent response from you, really appreciate that you make suggestions on rims, hub colors and so on. So now you have one more happy customer and I am going to recommend you to my friends. I recently purchased a Specialized Rockhopper on your 0% Finance scheme. Just to say that the Bike and scheme are Brilliant. I have been riding a very old GT Outpost Trail since 1997 and vastly appreciate the differences that ‘modern technology’ makes. I am really looking forward to progressing my experiences and skills with a bike that will perform so much better. More importantly, already appreciating the increased comfort that front suspension brings! Thank you for your excellent customer care and on-going approach to someone who must come across as a numpty. Just to let you know how pleased i was with my recent purchase of the above, the transaction from start to finish was as smooth as a Fox fork! It was nice to deal with someone(David R)who was friendly +truthful and not full of bull....,he did everything he said he would,which makes a change. I was even more pleased when i rode the fork, thanks again i will certainly look you up again and recommend you. Just a quick note to say how pleased I am with the bike and the whole of my dealings with Bike Scene. Would you please pass on my sincere thanks to Ian as well. He was a complete pleasure to deal with, patient with my noob questions (I'm an old-school MTBer) and he's set up the bike so it fits like the proverbial biking mitt. I'd also like to pass on my appreciation to your workshop as it's running like a Swiss watch of a bike straight out of the box as it were. I hope to deal again with you again soon, just wish you were slightly nearer! Just wanted to drop you a quick email to thank you for the wonderful service I received. I contacted you numerous times asking lots of questions and it was never too much trouble! I am very very pleased with the bike. The frame was delivered next day as promised, really well packaged with all the parts properly fitted. I would certainly use you again and would highly recommend you to anyone. Just a quick note to say thanks with your help and purchase today of the Specialized Allez 61cm. Even though on our initial visit the shop was busy, your staff were helpful and spent time with us explaining our options and trying out different size bikes. Afterwards we went to call at other bike shops within the area, they were indifferent and in one case told us lies to get us into their shop. This particular shop seemed completely disinterested when we arrived especially given our budget, something we didn't experience at Bike Scene. A further thanks for having the bike ready on the same day even though it was within a half hour of closing! I am sending a quick email to thank one of your team members. Mark came to my rescue whilst I was on a biking holiday in the North York Moors with my boyfriend. I was having gear changing problems whilst on a ride around Danby on Sunday 26th May. Mark spent a good half hour (maybe even 45 minutes!) on his day off sorting the problem. He wouldn't even accept any money off us. My gears now change better than they did before they started playing up! He was an absolute star! Just a quick email to say thanks to Andrew, Ian, and David for sorting out the two Spesh Stumpjumper FSR frames last week. They arrived as promised on Friday, were built up on Saturday, and duly given a 20 mile thrashing on Sunday! Both Scott and I were deeply impressed with the bikes, and within 30 mins of riding them managed to put in a personal best on Strava down a trail we must have ridden over 50 times, so definitely a measure of the quality of the bikes! so incredibly well packed so no issues with the bike. Thanks for the everything, I will definitely recommend you to my friends! Bike arrive in our factory today and all is OK ,thanks again for your speedy service. I wish some of our clients where as organised as you are. I will keep in touch and hopefully pass on some more business to you in the near future . I just wanted to write you a quick note to say thank you for all your assistance when handling my recent purchase of the Epic Comp. I’m pleased to report that the bike safely arrived and looks even better in the flesh than it does in any of the pictures that I had previously seen. Just to advise that the bike was delivered timely on Saturday as planned. I would like to thank you for your support and customer care. I'm extremely pleased with the product and service I have received and would definitely deal with you again. I will spread the word! Just a quick note, went out for a ride today and pleased to report that the replacement front wheel works absolutely perfectly! Thanks for all your help in arranging the replacement and providing great customer service! Very impressed and will definitely be buying from you guys again in the future. Wanted to say a BIG,BIG thankyou to you guys - for an absolutly perfect, helpful, friendly purchase......backed up by a brilliant price and lighning fast delivery. I've spent the whole weekend riding my P7 and am as pleased as punch (if a little sore). Hi, ive just received my specialized camber elite 2011 off you guys, and would like to say how well i felt treated on the phone by your salesman (Anthony). I had phoned a few other places before you, and it was this reason i chose to buy from you. The bike arrived in perfect condition, and the next day, as i was told. Ive been out on it today and it rides perfect. I will recommend you to other people for sure. today (Wednesday)!! What a fabulous service you provide. to you this week - and the excellent service is still being provided!! Once again, many thanks and well done!! I would like to extend my personal gratitude to Antony and Jane. Additionally, i don't normally have the time or indeed the inclination to convey my gratitude to a supplier, but in this case i have to make an exception, Bike Scene has provided me with exceptional Customer Service, for me it is a very rare occurrence to deal with a supplier who is a specialist in their field and who employs such wonderful, enthusiastic and knowledgeable people, so double respect and a big salute from me. I just wanted to say a big 'Thank you' for all your help this weekend with getting me back on the trails. Anthony went above and beyond to help with fixing my broken Hope pro 2 axle. I must say your after sales/customer service reminded my why I decided to travel past a lot of other bike stores to purchase my Orange 5 almost 18 months ago now. Thanks again for all your help always first choice for advice & a reliable service, just wish you were a little closer to Gateshead. Just a quick email to thank you guys for the superb service on the purchase and delivery of my new Camber Expert 2011. The bike arrived unmarked, when promised and the sus settings are pretty much spot on, you guys having dialed it in before shipping. I'm now looking forward to getting out on the south downs this weekend with it. Just a quick note to say how professional the service I received when I purchased my new bike last Thursday. Thanks to Antony and his advice without any pressure selling I will be back to do business again in the near future. Just a quick note to say - my epic evo arrived yesterday - all is fine with it. I thought it was very well packaged and secure. Thank you also for sending me the spare tubes - they arrived in the post today - unexpected but a nice touch. This is the first bike, I have bought through mail order/ web, and thought the whole process was very smooth and straight forward. Looking forwards to getting out on it now. Let me say a huge thanx to ‘Andy’ who recently serviced my Carrera fury and has simply transformed the way the bike rides !!! after a few rides out I am over the moon as to how good the bike feels now. So big thanx from me !!! I just want to say thanks for the help with my order and your support with all my questions along the way..
My bike is awesome and it was very smooth order handling from your side. I will surely recommend Bike Scene to my mtb friends. I just received the new seat post clamp. THank you so much for helping me out and solving the problem! You guys are doing a great job. I will recommend your customer service and care to anyone I know! To all at Bikescene, many thanks to you all for your excellent service and especially Anthony for being so helpful on saturday in getting me back on the trails and repairing the brake on my Stumpjumper, bike is running superbly again, your assistance made the trip up from Hull thoroughly enjoyable. Just got the stumpy yesterday. Two words. TOTALLY AWESOME. You should have seen the smile on my face when takin the bike out the box. Won`t be able to give it a good kicking till next wkd, but the set up feels good. To all at Bike Scene. recommend you to any friends who are looking for new gear. way and look forward to buying from you again. that I knew what the next steps were, including gear I needed. Just wanted to say what a pleasure it was to be able to walk into a shop and receive the service I did on Saturday. Very rare these days that a person will actually go through in detail about the product you are buying. Managed to get the bike out on Saturday for a 20 mile ride and I couldn't be more happier with my choice and the extra equipment I bought. I will definitely be recommended you guys to anyone that asks me about bikes or needs any advice on them.